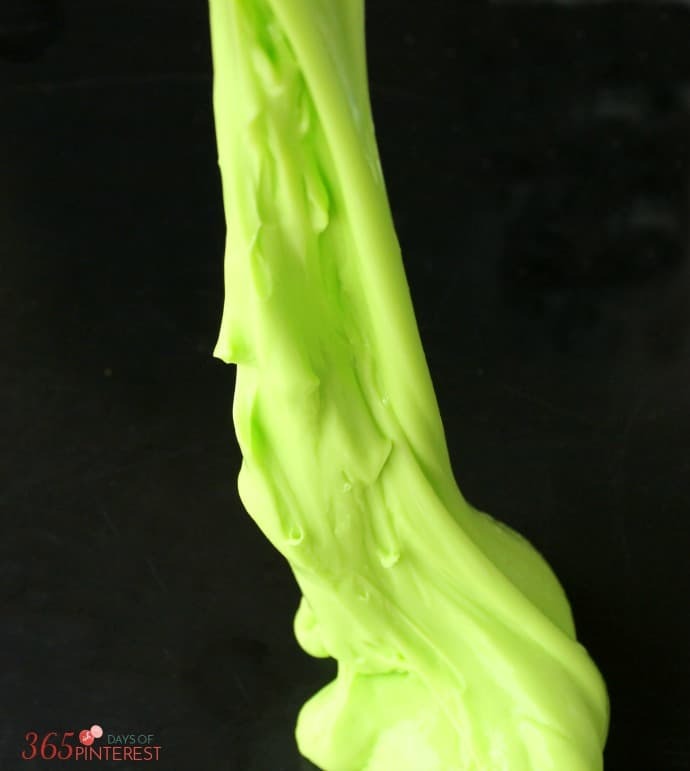 I have seen pins for slime (or gak, ooze, flubber, etc.) all over Pinterest and finally decided to try it out for myself. I couldn’t believe how easy and clean it was! 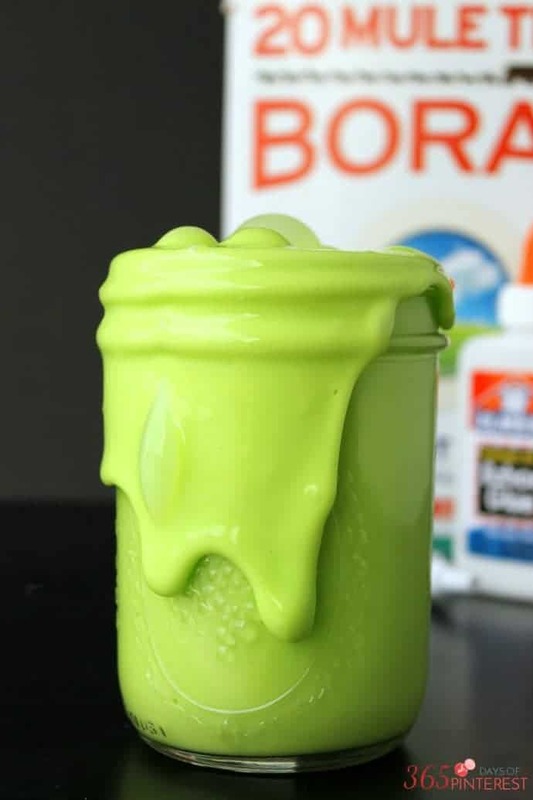 You only need three ingredients (plus water) and you probably already have them sitting around your house! How long will it keep? We’re having a birthday party next week, and I am wondering if I can make it several days before. You’ll be totally fine- just keep it in a jar with a lid or another airtight container. It lasts for months. Usually it gets smaller and smaller as the kids leave it out and it starts to dry up, or little bits get thrown away over time. The last batch I made, I used a different kind of glue and it was sticky and messy after a couple weeks. 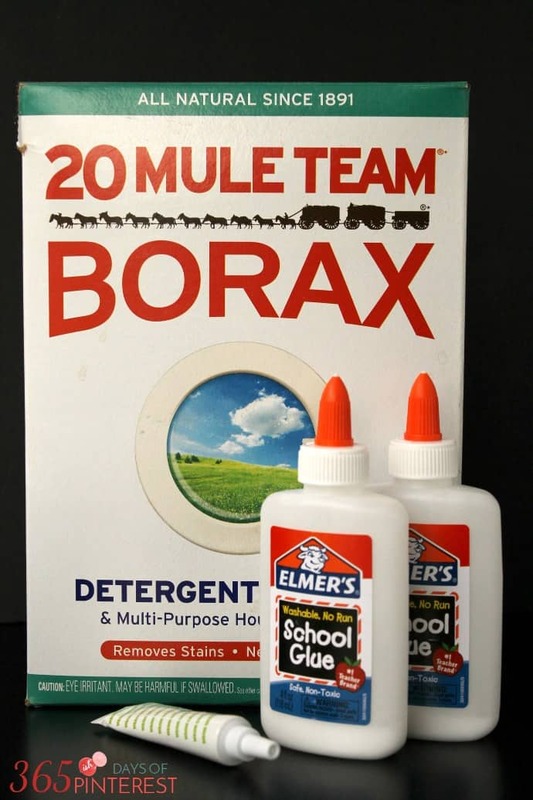 Stick with (no pun intended) Elmer’s white school glue and you’ll have the right consistency and it will be long lasting. How much does it make? I want to make some as party favors for my son’s birthday. Going to have about 20 kids present. 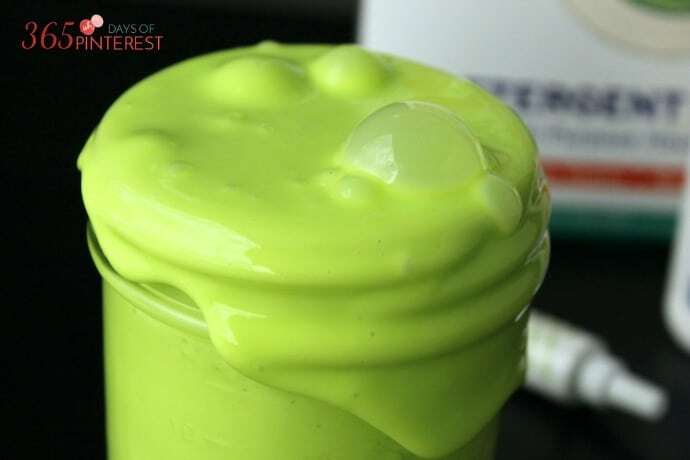 It overflows a pint jar- ends up to be about 2 1/2 cups of slime if you’re using the 4 oz bottles of glue. This is the second time we’re making it! We love it!